SALZBURG, Austria (AP) — European Union leaders agreed Thursday to enter talks with Egypt to help stem the flow of migrants entering Europe from Africa, offering to step up economic cooperation and the prospect of a high-profile summit in Cairo as incentives. “We’ve got to ensure that as few people as possible leave northern African countries for Europe. 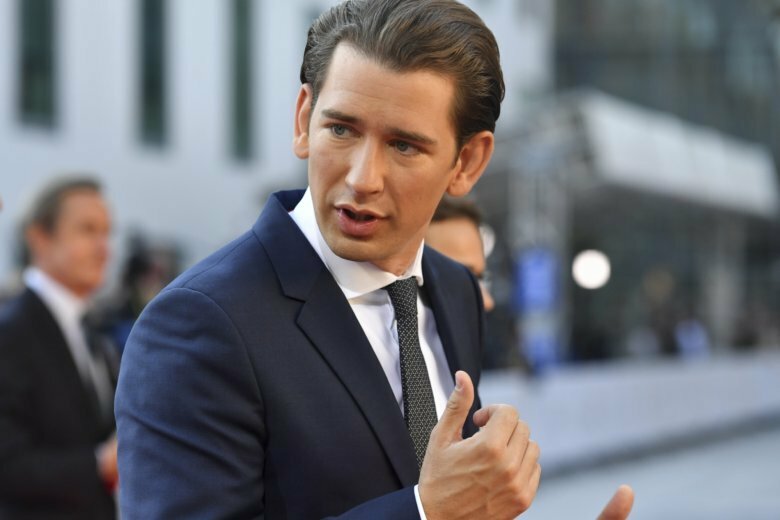 If they do, the situation should be dealt with as close to the African coast as possible,” Kurz said. Kurz, whose country currently holds the EU’s rotating presidency, and EU Council President Donald Tusk visited Cairo over the weekend for talks with President Abdel-Fattah el-Sissi, a top army general who took office in 2014. Both men have praised him for stopping people from leaving its coast bound for Europe. “Egypt is efficient. Egypt has served as an example when it comes to illegal migration and people smuggling,” Kurtz added. Tusk said he will meet with Sissi this weekend to take the talks forward, and confirmed that the leaders had agreed to take part in an EU-Arab League summit in Cairo in February. Migration talks with other north African countries will also be launched. To cope with the migrant crisis, the EU has in the past few years been willing to part with billions to secure deals around the Mediterranean with leaders with autocratic leanings. The bloc lauds a deal it struck with Turkish President Recep Tayyip Erdogan for slowing migrant arrivals to a trickle over the last two years, in exchange for up to 6 billion euros ($7 billion) in aid for Syrian refugees there and other incentives. Italy alone paid billions to former Libyan dictator Muammar Gaddafi to stop African people from leaving his country’s shores. Thousands were transported from Libya’s coast to its southern border. Beyond keeping tight control over Egypt’s coastline, Sissi could have important influence with the military and militias in lawless, neighboring Libya, a main departure point for migrants trying to enter Europe through Italy. The decision to work with Egypt comes after Italy’s anti-migrant government drew headlines for closing its ports to NGO ships, and even its own coast guard, carrying people rescued at sea. Hundreds of migrants spent unnecessary days at sea or aboard boats while EU countries bickered over who should take them. Looking for help from Sissi is a new sign of the EU’s determination to outsource the migrant challenge, even though arrival numbers are barely a trickle compared to 2015, when well over a million people entered Europe, mostly fleeing conflict in Syria and Iraq. EU countries are studying plans to create “disembarkation platforms” in northern African countries, where people rescued at sea could be dropped off for screening. No African country has expressed interest in hosting one so far. Some NGOs have angered Italy and Malta by proactively looking for people in trouble in the Mediterranean Sea. The two countries insist that ships should wait to be deployed by an official coordination center in Rome. The EU’s inability to balance responsibility for the migrants and share the burden of hosting them has been a vote-winner for far-right parties across the 28-nation bloc. French President Emmanuel Macron, who supports talks with North Africa, believes countries like Italy, Greece and Spain must take responsibility for migrant arrivals. But he also underlines the importance of European solidarity. “We have to protect our citizens but we must do it while respecting our values. Also, responsibilities cannot be upheld if there is no solidarity,” he said. Macron and the leaders of Belgium, Luxembourg and the Netherlands repeated a similar joint line on the balance between responsibilities and solidarity after talks earlier this month. However, they appeared to suggest that solidarity is best expressed by giving European money to partners who need help. No leader offered to share the refugee burden. One idea raised in Salzburg has been for countries to pay money to Italy or Greece to take care of migrants themselves. A proposal to expand the EU’s border and coast guard to 10,000 personnel by 2020 was not welcomed by all Thursday. Some countries are concerned about having officers from other countries patrol, or control, their borders. Geir Moulson in Berlin and Raf Casert in Brussels contributed.